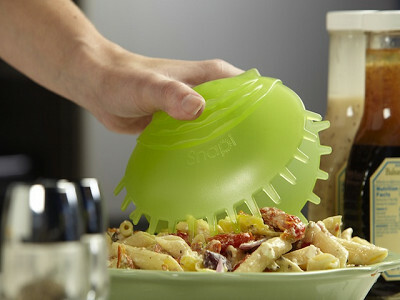 Make serving food easier with Snapi, a fun utensil designed to grab an entire portion of food without putting your plate down. 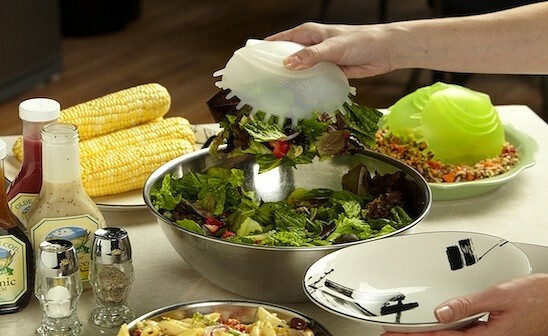 Whether you're allocating food for a family dinner or entertaining a room full of guests, Snapi's clamshell design allows you and your guests to effortlessly scoop a portion of their favorite foods without dropping any of it. The tool works particularly well with messy dishes such as pasta and salads, as well as fruits, veggies, and more. Unlike regular tongs that require you to use both hands, Snapi allows you to scoop your favorite dishes effortlessly using only one. Snapi is made right here in the United States and features a molded plastic hard-shell with a soft-touch easy-grip base. Ergonomically designed to fit comfortably in your hand, the tool also offers a convenient open/close locking mechanism for easy storage. When you are done serving, throw the Snapi in the dishwasher for easy cleaning. Reduce your serving messes by using this fun and comfortable single-handed server. Even your guests will be sure to grab a full serving and go back for seconds, without the fear of making a mess.